James Schnable's research group at the University of Nebraska–Lincoln works on developing new methods to combine information from corn, sorghum, and related orphan crops and wild species to identify genetic changes that alter crop traits important to farmers and food traits important to consumers. Working closely with computer scientists, statisticians, engineers, and applied plant breeders his research group develops new quantitative genetic and high throughput phenotyping techniques to analyze novel types of data, including high throughput RGB and hyperspectral imagery collected from plants on a daily basis and parallel genome wide association studies in corn, sorghum and foxtail millet. 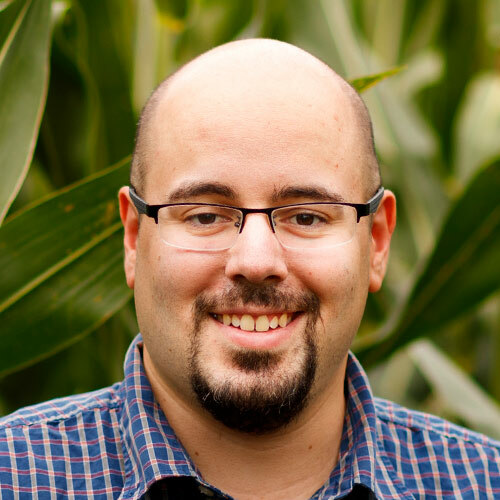 As part of the Nebraska Food for Health Center, he is working to identify genes in corn and sorghum that alter the biochemical composition of these foods and produce different perturbations of the human gut microbiome when consumed. Research in the Schnable lab is currently supported by NSF, the USDA, DOE, the Nebraska Corn Growers Association, and private industry. He has founded two startups – Data2Bio and Dryland Genetics – the latter focused on bringing the rapid gains in yield potential produced by modern crop breeding methods to water use efficient orphan crops.